On the first page of Tyler's stunning new novel, Rebecca Davitch, the heroine (and heroine is exactly the right word) realizes that she has become the "wrong person." No longer the "serene and dignified young woman" she was at 20, at 53 Rebecca finds she has become family caretaker and cheerleader, a woman with a "style of dress edging dangerously close to Bag Lady." So she tries to do something about it. 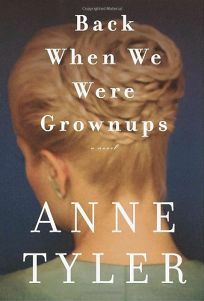 In the midst of her busy life as mother, grandmother and proprietor of the family business, the Open Arms (she hosts parties in the family's old Baltimore row house), Rebecca attempts to pick up the life she was leading before she married, back when she felt grownup. She visits her hometown in Virginia, locates the boyfriend she jilted and renews her intellectual interests. But as Rebecca ponders the life-that-might-have-been, the reader learns about the life-that-was. At 20, she left college and abandoned her high school sweetheart to marry a man who already had a large family to support. A year later, she had a baby of her own; five years later, her husband died in an auto accident, and she was left to raise four daughters, tend to her aging uncle-in-law and support them all. And a difficult lot they are, seldom crediting Rebecca for holding her rangy family together. Yet like all of Tyler's characters, they are charming in their dysfunction. And much as one feels for Rebecca, much as one wants her to find love, it's difficult to imagine her leaving or upsetting the family order. Forecast:A 250,000 first printing seems almost modest considering the charms of Tyler's latest and the devotion of her readers. A Random House audiobook and a large-print edition will appear simultaneously, and the book is a BOMC main selection and an alternate selection of QPB, the Literary Guild, the Doubleday Book Club and Doubleday Large Print.